After announcing the entry months ago, KV Racing Technology, SH Racing, and REDLINE Extreme formally announced today the signing of Tomas Scheckter to pilot the teams 2011 Indianapolis 500 #07 entry. 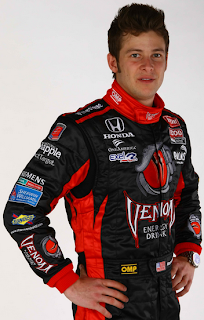 "I am excited to be competing with this team for my 10th Indianapolis 500," said Scheckter. "The Indianapolis 500 is the greatest race in the world, and from my first time here in 2002, I have wanted to win this race. I believe that this organization will provide me with a great opportunity to reach that goal." Competing for Cheever, Ganassi, Panther, Vision, Luczo Dragon, Coyne, Dreyer & Reinbold, and Conquest over his 9-year IZOD IndyCar Series career, KVRT-SH Racing will mark the 30-year-olds 9th team. Although the first official entry for this year's 100th Anniversary '500', Scheckter marks the 31st confirmed car-driver combination. All entries for the May event are due by April 6th. Drew a 1.4 television rating, the highest for the Series since Mid-Ohio in 2007 which followed the British Open. 12 different teams in the top 13 finishing positions. 12 cars finished on the lead lap. 6 of the top 11 finishers did not have a teammate. Highest finishing Rookie: 11th JR Hildebrand. 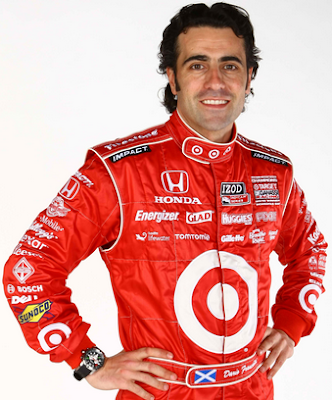 Franchitti's win, his 27th, ties Johnny Rutherford for 10th on the all-time win list. Simona De Silvestro (4th) and Takuma Sato (5th) had their best IZOD IndyCar Series finishes. Both of Dreyer and Reinbold Racing's drivers Justin Wilson and Ana Beatriz injured their wrists in separate incidents. Both will undergo further evaluation this week. Once teammates at Andretti Green Racing, Dan Wheldon and Bryan Herta have teamed up once again. Bryan Herta Autosport announced today in St. Petersburg that the 2005 Indianapolis 500 Champion will pilot the BHA entry at Indy. 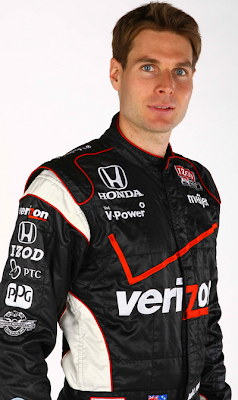 “I’m really excited to be joining Bryan Herta Autosport for the centennial running of the Indianapolis 500 and I’m excited to announce this news in my hometown of St. Pete,” said Wheldon. “Bryan has been a friend – and a teammate – for a long time now and because of that I have the utmost confidence in him and his team to provide me with the tools to win my second Indy 500." Following three season with Andretti and three at Chip Ganaasi Racing, Dan Wheldon signed on with Panther Racing in the winter of 2009. After two disappointing seasons the pair parted ways, leaving the veteran pilot without a ride for 2011. “Going into the month of May, I think we stand in a very good position,” added Wheldon. 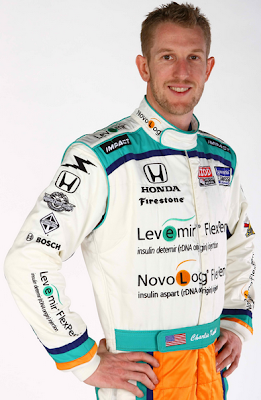 “At this point, I won’t be a full-time IndyCar participant this season, but I don’t think we will be at a disadvantage having not raced in the first four races of the season because they are not on ovals; they are running on road and street courses. We will have plenty of preparation time at the Indianapolis Motor Speedway, and paired with the fact that Honda always supply us with reliable engines, I think we’ll be able to hit the ground running. 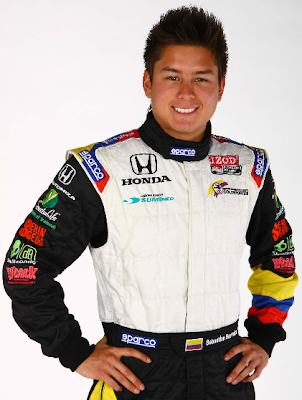 I’m really excited about this opportunity and can’t wait to get to Indy"
Struggling through the entire Month of May in 2010 with rookie driver Sebastian Saavedra, the #29 entry made the field of 33, but just barely. The only IZOD IndyCar Series start in the team's history, Herta hopes for improved results this year, "Steve and I are thrilled to have a driver of Dan’s caliber partner with us for the Indianapolis 500,” said Herta. “It goes without saying that Dan knows his way around the Speedway. He has achieved a tremendous amount of success there and all of us have high expectations going into the month of May." Entering it's third season of IZOD IndyCar Series coverage, the VERSUS broadcast team has undergone a bit of tweaking in preparation for their expanded coverage of the first race of the season April, 10th at Barber Motorsports Park. With the exit of Robbie Buhl in the Booth and Jack Arute in the pits, VERSUS has signed on Wally Dallenbach Jr., Marty Snider, Kevin Lee and Robin Miller to provide coverage alongside returning talent Bob Jenkins, Jon Beekhuis, Lindy Thackston and Robbie Floyd. Dallenbach Jr. who will join Jenkins and Beekhuis in the booth for all 12 VERSUS races in 2011, has previous experience as an on-air analyst with both NBC and Turner Sports for NASCAR since 2001. Full-timer Kevin Lee and part-timer Marty Snider will join Lindy Thackston in performing pit-lane duties this season. Snider, an NBC Sports reporter since 2000 covering NASCAR, the NFL, and various other sports joins the team alongside veteran IZOD IndyCar Series reporter on the Indianapolis Motor Speedway Radio Network, Kevin Lee. Robbie Floyd who was full-time with VERSUS the previous two seasons is expected to fill-in for Snider on pit-lane for conflicting race dates. In addition to the revamped broadcast team, VERSUS has also greatly expanded their IndyCar coverage. Stretching the broadcast window from 3 to 5-hours, eight Firestone Indy Lights races will be aired LIVE just prior to the IZOD IndyCar Series cars take to the track. A weekly hour long studio show on Tuesday afternoons from 4-5pm est., will debut May 3rd entitled Inside the IZOD IndyCar Series, and will re-air throughout the week. Monday race re-airs, qualification shows for each VERSUS event and 17 plus-hours of Month of May Coverage will also return in 2011. Running deep into negotiations with several teams over the off-season, 20-year major open-wheel veteran Paul Tracy has signed with Dreyer and Reinbold Racing to compete in the 2011 Indianapolis 500. "Obviously it feels great to be back with Dreyer & Reinbold Racing," said Tracy. "It's been a chaotic winter, but it's good to have the deal stowed away with a competitive program lined up with WIX Filters and DRR for the Indianapolis 500." Running in his 4th race with DRR, Tracy will pilot the WIX Filters entry alongside teammates Justin Wilson and Ana Beatriz. "Dreyer & Reinbold Racing is extremely happy to welcome WIX Filters to the team for the Indianapolis 500 and for the 2011 season," said team co-owner Robbie Buhl. "We are also very excited to have Paul drive the WIX Filters car. He's a great personality and driver and we believe he will be very competitive during the Indy 500," commented Dreyer & Reinbold Racing Co-Owner, Robbie Buhl. 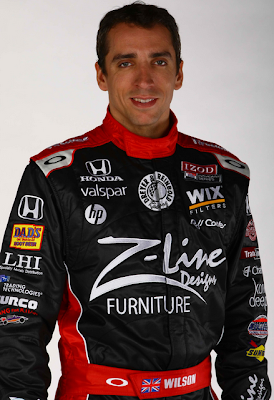 WIX Filters will also serve as an associate sponsor for Justin Wilson in 2011. After parting ways with Andretti Autosport then signing with and then leaving de Ferran Dragon Racing in the off season, IZOD IndyCar Series veteran Tony Kanaan seems to of finally found a home. 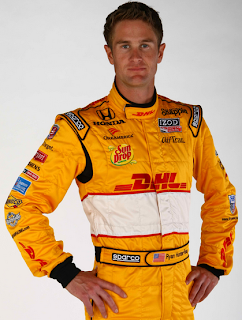 “I think Tony is a great addition to our team," said team co-owner Jimmy Vasser. "He, along with Taku and EJ gives KVRT – Lotus a very strong driver line-up and one I am sure can compete for podium finishes and race wins. Tony’s knowledge and experience will be extremely valuable to our team." "Jimmy (Vasser) and I started talking about joining forces at the end of last season, but the timing was not ideal and I ended up signing with Gil (de Ferran)," said Kanaan. "When I became a free agent in mid-February, calling Vasser seemed like a natural thing to do since KVRT was one of the top teams still looking for a driver. Jimmy and I go back a long way, we were rivals during the CART days, but more than that, we have always been good friends, which helped a lot with our negotiations. 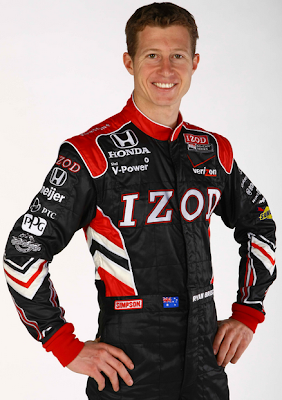 Announced today at Barber Motorsports Park, John Andretti will return to the IZOD IndyCar Series running with Andretti Autosport in the 2011 Indianapolis 500. Andretti will pilot the #43 Window World Richard Petty entry for the third consecutive season. Andretti's sponsor, Window World, also announced a contest that could give one lucky fan $1 Million. From a group of six semi-finalists, one of which will be a veteran, a random draw will take place giving that winner the prize if Andretti can take his entry to victory lane in May. "No matter how many times you've done it before, it never gets old to announce that you're going to run in the Indianapolis 500," said Andretti. "To be able to represent Window World again is fantastic, as is the opportunity to work with Richard (Petty) and Michael (Andretti). Winning the Indianapolis 500 has always been a dream of mine. To be able to have another shot at that is tremendous, and being able to make one of our military heroes a millionaire in the process would make it that much better." Following a seven year run in the late 80's and early 90's, the racing veteran went on a 13 year hiatus from Indianapolis before returning to the 'Greatest Spectacle' in 2007 with Panther Racing. A week after announcing their exit from INDYCAR racing, Bridgestone Americas Tire Operations, LLC announced today that they will return through 2013 as the sole tire supplier. "At the end of last week, we had reached the deadline where both organizations had to make a decision regarding the future to prepare our individual operations for the long term," said Randy Bernard, CEO, INDYCAR. "This is one of those decisions that it is imperative that you have the team owners 100 percent behind you. Early this week we called a meeting to walk the team owners through the process and hear their input. I'm happy to say we walk as one with Firestone. "We feel that this new supply agreement will benefit everyone. It provides a proven safe and reliable Firestone product for the transition to the all-new cars for 2012. We have to thank everyone at Firestone for working with us to help ensure the best for the long-term growth of our sport," Bernard said. The late rally to bring back the long-time tire supplier gives relief to both the league, drivers, teams, and fans after what would have been a huge loss. No time is a good time for such an active sponsor to leave the series, but with the introduction of the new formula in 2012, the situation was turning desperate. "We are pleased that we were able to reach this agreement with INDYCAR," said Al Speyer, Executive Director, Firestone Racing. "As we prepare to celebrate our involvement in the 100th anniversary of the first Indianapolis 500 Mile Race, we are also focused on the future and the great opportunities that lie ahead. While we've reached the pinnacle of success in the IndyCar racing, we're happy to extend our relationship with the IZOD IndyCar Series through 2013, and to continue our winning partnership. Meanwhile, we will continue to evaluate all options for promoting the Firestone brand inside and outside of motorsports, as the Firestone Brand is a very important part of our business." 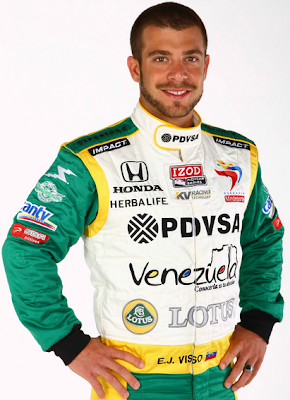 UPDATE: GP2 & 3 driver James Jakes is in the #19 car testing for Dale Coyne. UPDATE: Sebastian Saavedra has been confirmed full-time in the Conquest ride, giving him the TBA seat. The IZOD IndyCar Series announced today that the majority of the 2011 races will be capped at 26 cars. With the exception of Indianapolis and the season ending $5 Million challenge at Las Vegas, the quickest 24 cars in qualifying will take the green flag along with 2 provisional entries if needed. 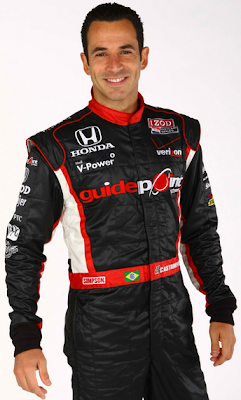 2010 IZOD IndyCar Series champion driver. 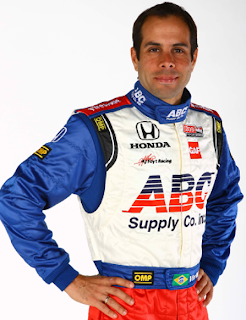 2009 IZOD IndyCar Series champion driver. 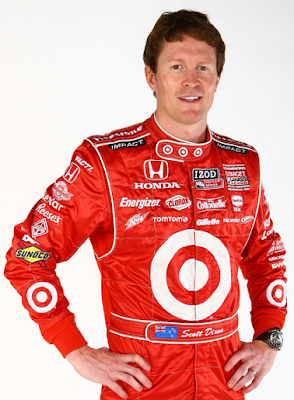 2010 Indianapolis 500 champion driver. Highest-ranking driver among the current top-22 driver point standings prior to race weekend. Leader Circle entry with the best practice lap time at the event, as deemed acceptable by INDYCAR. Entry with next best qualifying lap time, as deemed acceptable by INDYCAR. Indianapolis 500 qualifying will not include provisionals and will be conducted in a similar manner to 2010. Provisional positions will not be available in Sao Paulo and Motegi, allowing the fastest 26 cars in qualifying to start the race. The 26 car cap will expand to 30 for Las Vegas with the two provisionals, however the five $5 Million challengers are not guaranteed a starting position. UPDATE: Firestone & INDYCAR went back to the negotiation table and agreed on a new deal bringing the tire supplier back through 2013. Firestone, the sole tire supplier for the IZOD IndyCar Series since 2000, will officially withdraw from both the IndyCar Series and Firestone Indy lights after the 2011 season. "It's unfortunate to lose a great partner and ambassador for the sport like Firestone," said Randy Bernard, CEO, INDYCAR. "We are actively engaged in discussions with other tire manufacturers on opportunities to get involved in our sport as we prepare to debut our new car in 2012. As the fastest, most versatile racing series in the world, INDYCAR provides an ideal platform for companies looking to showcase both performance and brand on the track. In fact, Firestone credits its association with our sport in doubling the sales of its street tires in the U.S. during our first five years of partnership." Although not confirmed, it can only be assumed that Firestone's INDYCAR sponsorship including that of the Firestone Indy Lights, Firestone Tire-ific Move of the Race, Most Popular Driver awards, and various race title sponsorships will end as well. "During our long history in racing we have met or exceeded all of our motorsports goals," said Al Speyer, Executive Director, Firestone Racing. "So now it's time to set new goals - for ourselves and our brands. Companies that strive to achieve the highest levels of brand loyalty and recognition must continue to find ever more effective ways to communicate their brand messages. This is part of our process to ensure that we are doing the best we can to support and further strengthen our brands. The Firestone brand has been, is now and will be an extremely important part of our business. We're very excited about our future prospects to grow the Firestone brand." The move to withdraw this late into the game leaves INDYCAR scrambling for the next generation car in 2012. With testing set to get underway in well under a year, the clock is ticking for a replacement. Possible suppliers could include Goodyear, Hoosier, or Pirelli. "It has truly been a pleasure to have Firestone as a tire manufacturer since the inception of the IZOD IndyCar Series and we greatly appreciate what they have contributed over the last 15 years and more," said Brian Barnhart, president of competition and operations, INDYCAR. "Firestone has been a great partner and has brought incredible performance and reliability to our sport with their product and for that, we are very grateful. We look forward to a great season with them in 2011 and want to wish everyone associated with the Firestone brand all the best in the future." Following the 2011 season, Firestone will have won 62 Indianapolis 500's, and 92% of all IZOD IndyCar Series events. "Even though we've announced our decision to retire from INDYCAR competition, I want to assure our drivers, teams and fans that Firestone Racing is committed to maintaining the highest standards of performance and support through the 2011 season," Speyer said. "We are also developing plans to commemorate the 100th anniversary of the Indianapolis 500, and are looking forward to celebrating our winning partnership and honoring our decades-long relationship as part of this milestone. Finally, I'd like to personally thank all of the hard-working individuals who have poured their hearts and souls into making Firestone Racing's endeavors such a successful and rewarding experience over the past 21 years." 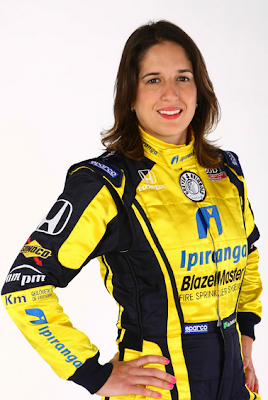 After running a partial schedule in 2010, Dreyer and Reinbold Racing as signed Ana Beatriz to run full-time in 2011. "I'm definitely thrilled to have my deal done with Dreyer & Reinbold Racing and Ipiranga," said Beatriz. "It's a dream come true that this has all come together. Last year was important for me to run four races to get adjusted and for this year I feel more prepared than ever. It's great to be back at DRR, they know me already and what it takes to make me grow as a driver. I have to thank Andre, Cesario, Dennis and Robbie for making this happen and Ipiranga to trust in my career. I'm very much looking forward to the 2011 season." 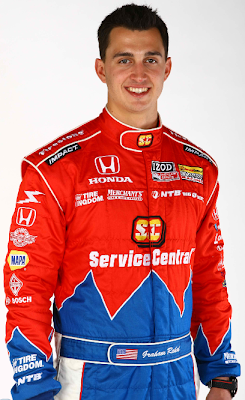 Bia will pilot the #24 Honda-powered Dallara with Ipranga sponsorship alongside teammate and veteran Justin Wilson. 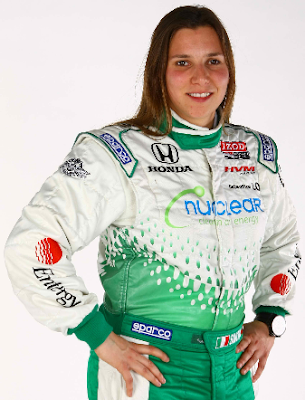 Ana ran four IZOD IndyCar Series races in 2010 competing on the Streets of Sao Paulo and on the oval rounds at Indianapolis, Chicagoland and Homestead-Miami with a best finish of 13th. FAZZT Race Team is no more. Longtime Firestone Indy Lights team owner, and former full-time IZOD IndyCar Series team owner, Sam Schmidt, has purchased the assets of the young team. "This is a fantastic time for me, my family and everyone at Sam Schmidt Motorsports," said Schmidt "Though we competed in the IndyCar Series in 2001 and 2002, I can now admit we were naive in our understanding of what it took to be successful at the top level of open-wheel racing in the United States. 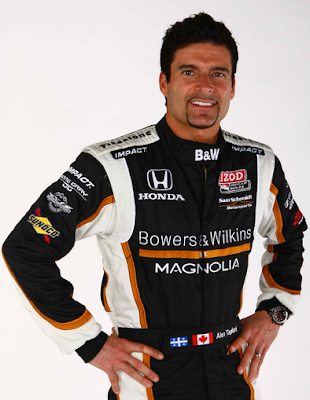 Ten years later, I have a much better understanding of what it takes to go Indy car racing." FAZZT Race Team competed full-time in their freshman season in 2010, but after management changes and other issues the 2011 season was in doubt. 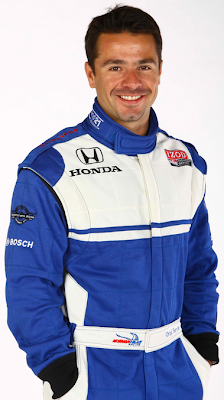 Schmidt will retain the FAZZT staff including driver Alex Tagliani for a full-season IZOD IndyCar Series effort using the #77 and under the Sam Schmidt Motorsports banner. "We have worked hard to accomplish what we have in the Firestone Indy Lights series and, most importantly, we have built a team around a group of great individuals," Schmidt said. "That, combined with the excellent talent base at FAZZT Racing, should create a powerful combination. This in no way will interrupt our plans to compete strongly for the Indy Lights championship, and we all look forward to the challenge of being equally as competitive in the IZOD IndyCar Series." 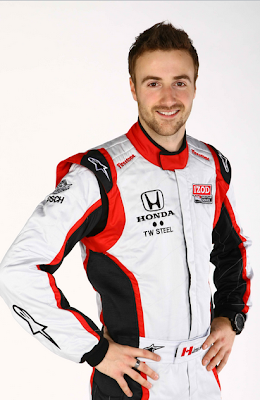 Within the last two weeks Schmidt announced three part-time IZOD IndyCar Series drives in addition to his multiple car Firestone Indy Lights lineup in 2011. Townsend Bell will run a late season oval and alongside Jay Howard under the 'Sam Schmidt' unbrella at Indianapolis. 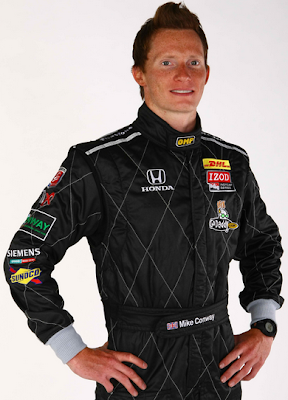 Firestone Indy Lights veteran Wade Cunningham will also turn his first laps in an IndyCar with the team when competing at Kentucky, Las Vegas and in the twin races at Texas. As Randy Bernard took the reigns of INDYCAR one year ago today, I'm not gonna lie, I was skeptical. Skeptical of the job that the former CEO of a completely unrelated sport with no racing background could do for a racing series that was in desperate need of direction. Luckily, I was wrong. The last 12 months of been some of the best in IndyCar's history. You have the development of the next generation 2012 formula for example. A year ago we were in the middle of a five way battle. Dallara, Swift, Lola, BAT, and DeltaWing had all made their IndyCar aspirations known. They each had their defenders and each had their protester. Each of the chassis had their positives and each had their negatives. The one aspect that all five entries had in common was exclusivity. Sure, some didn't demand it, but after taking a quick glance at the projected economic affect of multiple manufacturers, it became clear that a single supplier was a necessity. Acknowledging his lack of INDYCAR knowledge, Bernard put together the ICONIC Committee. The 7-member team of experts including Brian Barnhart, Tony Cotman, Gil de Ferran, Eddie Gossage, Rick Long, Tony Purnell, Neil Ressler and mediator & retired Air Force Gen. William R. Looney III, were tapped to layout plans for 2012. The ICONIC Committee's decision and July 14th, 2010 announcement was met with mixed results. Some loved it, others hated it, but everyone had strong feelings one way or the other. On the surface it sounded like the 5-year Dallara exclusive streak would continue. And it would have it others wouldn't of come on board to provide body kits for the Dallara built chassis. Fortunately, that didn't happen. Putting deals together to bring both Chevrolet and Lotus back into the engine fold also created two much needed body kit builders as well. Did Randy Bernard have any impact on the ICONIC committee's decision? No, but the end result would have never came to be if Bernard hadn't put together the committee in the first place. Although his tenure hasn't been perfect with the Edmonton fiasco, loss of Chicagoland from the schedule, and rumored exit by long-time tire supplier Firestone, their have definitely been more ups than downs. The replacement of what was a lackluster season finale at Homestead by what's sure to be a fantastic event at Las Vegas is at the top of the list. Although the details need some tweaking, putting a ticket program together, alongside IZOD executives, should fill the stands for the season ending race. Add the much talked about $5 Million bonus to any non-IndyCar driver talented enough to put their entry into victory lane, and Las Vegas should be a race we'll not soon forget. Entering the 2010 season one of the most disappointing developments was the loss of Milwaukee from the schedule. Remedied in 2011, not only was the 1-mile short oval brought back, additional events in Baltimore and New Hampshire will inject the series back into one of the sports most important regions, the American Northeast. Couple those with the new twin races at Texas, and the revamped 2011 schedule is the most diverse in history. Another move which should of been made long ago was finally brought to fruition over the last year. The 'IRL' moniker, with a very negative connotation to some, was dropped in favor of INDYCAR. Although admittedly not an acronym and still not used by many, INDYCAR brings a much needed re branding to the sanctioning body. Improvements to the pre-Bernard era ladder system were also put into motion. Awarding each of the series champions in the rungs of the ladder a monetary scholarship to the next tier gives real legitimacy to the system. Implementing a new branch to the newly sponsored Mazda Road to Indy program through USAC was also a welcomed addition. Rewarding the USAC National Drivers Champion with a $300,000 bonus towards part-time Firestone Indy Lights season, could bring the under-tapped dirt track market to INDYCAR sanctioned events. Will the changes have any affect on the car counts, TV ratings, fan base, or overall health of the series? Only time will tell, but a definite momentum is being felt. 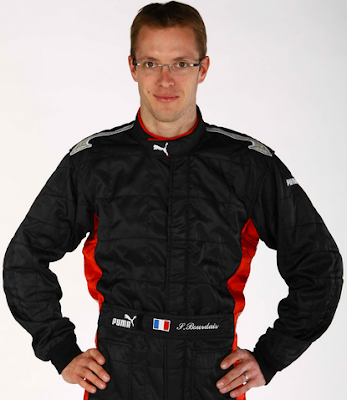 No doubt Bernard has a done a fantastic job in his Freshman season as INDYCAR CEO. When rating himself on the other hand, Bernard would probably give himself a much more modest review, and that's probably why he's so good.